Happy Sunday guys! As a special treat for all of you, here's a quick giveaway c/o one of my favorite brands, Romwe. Three lucky Fashion Eggplant readers will get the chance to win one of the dresses below. 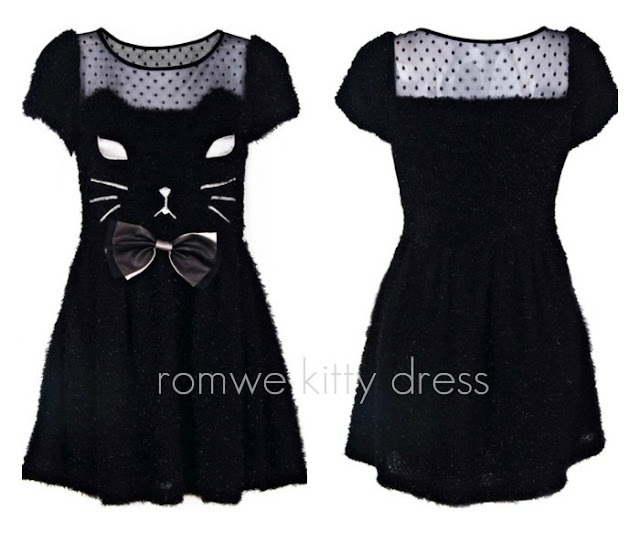 You can choose between this cute kitty dress, a galaxy dress, or a sophisticated lace dress. To join this giveaway, all you have to do is fill in the mandatory areas in the rafflecopter form below. Or you can also complete the optional entries for better chances of winning! too bad i am not into instagram. Can't open the other options.